Julie grew up with parents who were well acquainted with the health care field. At the hospital a mile from her home, her mom worked as a registered nurse and her dad was in hospital administration. Her older brother and sister and Julie all had part-time jobs at the hospital through their teens. Julie knew she wanted to work in a health-related field, and as a young girl she had hopes of becoming a doctor. She went on many visits with her mom delivering Meals on Wheels to seniors, and as her mom transitioned out of the clinical setting into home health care, Julie accompanied her on those visits from time to time. Growing up in a neighborhood in the heart of Chicago was ideal. She loved living in a neighborhood where everyone walked to work, church and school and all the kids played together up and down the street. While this may sound like small-town America, it was actually a very diverse neighborhood only blocks away from high-stress neighborhoods. There were over 50 languages spoken at her high school. It was this diversity and watching her parents tenderly care for patients as part of their vocation and for those around them that shaped her heart to care about people. She knew that she would one day pursue a career in public health. From a young age, Julie was participating in or watching sports. (Go Cubs!) In high school, Julie found her niche running track and playing volleyball. She began to think that somehow health care could be combined with fitness. She earned her BS (health fitness) from Springfield College in Massachusetts and then spent a year working at a hospital wellness center in Chicago. In 1991, she moved to the Bay Area and started working at Stanford for the Health Improvement Program — where she has been working ever since. In 2001, the seed that had started growing so many years earlier took root and Julie went back to school for her Master of Public Health from San Jose State. Julie currently is the manager of the BeWell Wellness Profile program. She does BeWell Advising and HIP wellness coaching and has co-taught Weight Management classes. She enjoys helping people make a behavior change. Julie is also the associate director of Living Strong Living Well, a strength-training program for cancer patients and survivors at the local YMCAs, which began in 2002. Julie knows that people often know what to do but just need support getting on track. She has developed deeper compassion for the experience of others because of her own life experience; as a mom in her 50s, Julie juggles work, marriage and the raising of a spirited 7-year-old. She is not always successful, but wouldn’t trade her life for any other. She enjoys bootcamp, camping, and reading a good book. My wellness philosophy is “health is the new wealth.” When a person has good health, they can reap more from life. Also, good health leads to increased confidence and vitality, which is critical for success in the workplace. But, most importantly, people in good health are more independent later in life. No one wants to be a burden on their family. I chose a career in health and wellness because I love people, and I want the highest quality of health for every individual that I get to coach. But achieving good health in the 21st century is fraught with many challenges such as sedentary jobs, long commutes, and balancing family and work obligations. However, my gift as a health coach is matching individuals with physical activity and nutrition programming that is highly individualized to each person. Also, I am 100% committed to every person that I coach. My commitment never waivers, because achieving health goals — whether it is losing belly fat or gaining strength — is a complicated process that indeed has setbacks. So I am always here for you. Before landing at Stanford, I worked as a personal trainer in New York and Los Angeles. Since the beginning of my career, I have mostly worked with weight-loss clients. I enjoy weight loss fitness programming because nothing is more rewarding than helping someone change their body. For example, one of my best success stories is a woman named Beth, whom I trained in Los Angeles. In 13 months, Beth lost 51 pounds. But what she gained from the time with me beyond weight loss was priceless: After many years of marriage, her husband was finally able to wrap his arm around her with his finger interlocked. My favorite wellness activity is attending a dance class, Hip Hop, taught by Chris Rodriquez. I believe dance is probably the most underrated fitness activity. Dancing is easy, burns many calories, and has little risk of injury. But the best part about participating in a dance class is the fun factor: you are burning calories while dancing to your favorite music. What could be better? You can dance your way into better health, and health is wealth. For over a decade Sarah has worked as an educator, counselor, and coach in the field of health and wellness. She earned her undergraduate degree from Azusa Pacific University, where she competed for the track and field team while studying education and ministry. She moved from Los Angeles to Seattle, where she taught and coached high school students, before coming to the Bay Area for her graduate work in 2006. Sarah earned her MA in Counseling and Health Psychology from Santa Clara University while teaching and counseling at the university level. 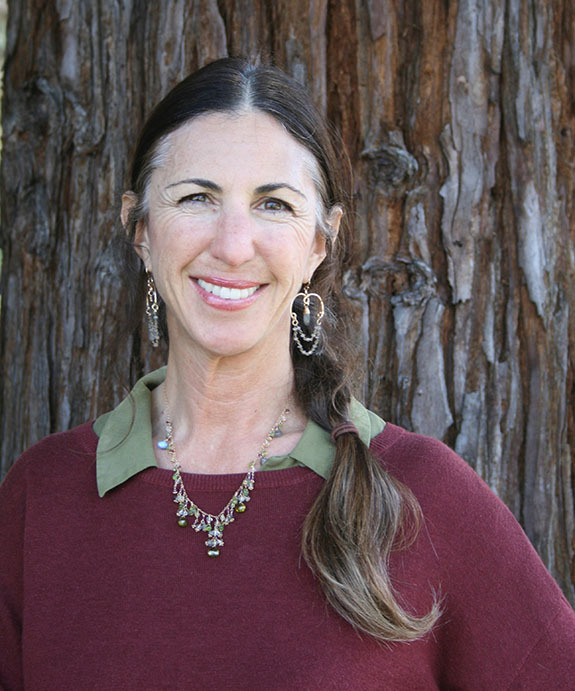 At SCU, she studied under Dr. Shauna Shapiro and received the 2008 Research Excellence Grant for her work teaching mindfulness. 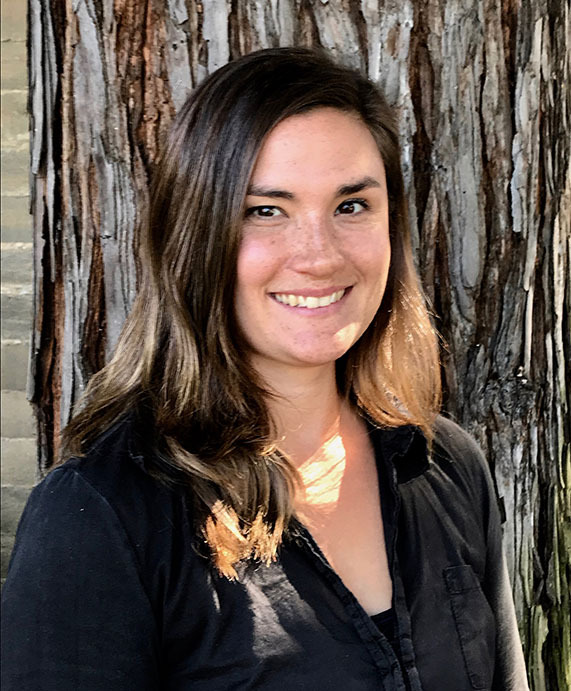 Sarah also focused her graduate work in the areas of neuroscience and health education, ultimately leading to her training as an instructor of Mindfulness-Based Stress Reduction, which she currently teaches at Stanford. 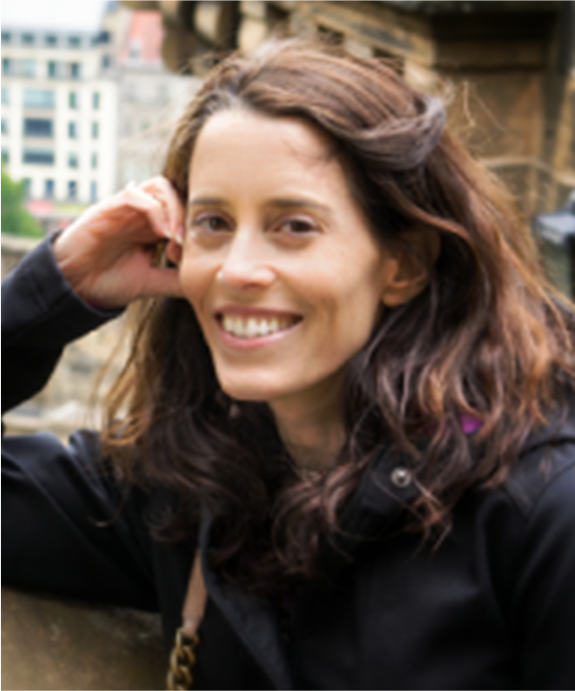 Sarah takes a holistic approach to her work, weaving in principles of mind-body science and neuroplasticity, asserting that we can literally change our wiring by practicing new patterns of being in the world. “The cultivation of compassionate attention to the present moment is fundamentally healing,” she says. Sarah lives in Santa Cruz with her husband and son. She credits parenting as her greatest mindfulness teacher. She enjoys running and racing the coastal trails, practicing yoga, reading great books, and attempting to write them. 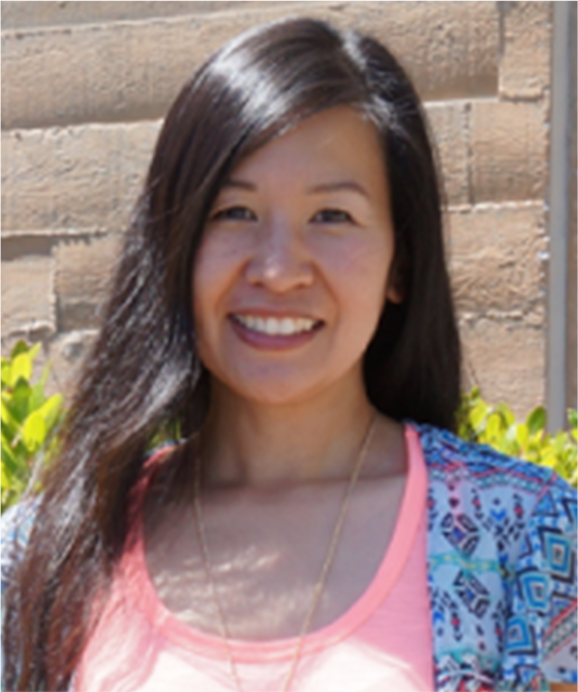 Rosalyne Tu, MS, RD has traveled an educational and vocational path defining her skills and experience as a Biometrics Manager, Dietitian, Instructor and Coach for the BeWell Program. 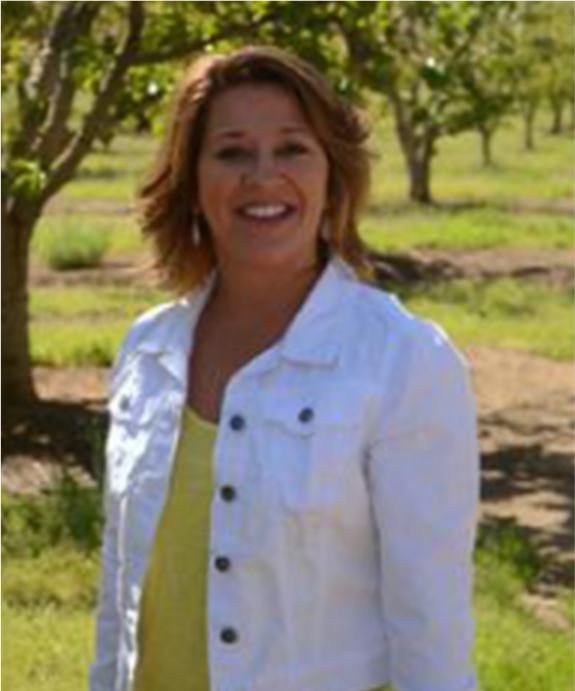 Rosalyne began her career as a clinical dietitian working in hospitals and outpatient services. During this experience, Rosalyne quickly realized that telling people what they should do just wasn’t enough to help them change their behaviors. Knowing that she was destined to work in wellness and prevention, and recognizing the need to develop her skills in counseling and behavior change, Rosalyne went back to school and earned her MS in Nutrition and Applied Physiology from Columbia University. In addition to being thankful for a job she loves, she is especially grateful for the new addiction in her life: her two daughters! Although life has changed drastically, Rosalyne is still working on maintaining her hobbies of gardening, experimenting in the kitchen, and physical activity — while establishing her “new normal” as a working mother of two. Nicole Cooper was raised in Southern California and was very active in a variety of sports, including gymnastics and soccer. As an athlete, she learned the value of exercise, hard work, and teamwork. However, many injuries sidelined Nicole, and she wanted to understand how to prevent and rehab these injuries. She was inspired to pursue a career in kinesiology, the study of how the body moves, at California Polytechnic State University, San Luis Obispo. During her studies at Cal Poly, she started competing in triathlons and became interested in sports nutrition. With a Bachelor of Science completed in Kinesiology, Nicole added the nutrition component and became a Registered Dietitian. As a National Academy of Sports Medicine Certified Personal Trainer, coupled with her expertise in nutrition, Nicole helped clients pursue their personal goals — from weight loss to competing in half marathons. She loved inspiring clients to find a happy balance of exercise, healthy food choices, and injury prevention. 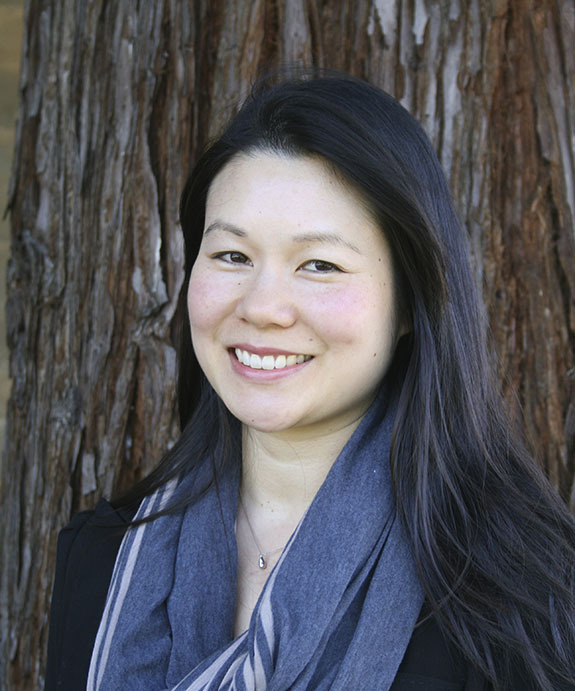 With a diverse educational background and life experience, Nicole feels that her patience and caring demeanor are perfect attributes for the BeWell program at Stanford University. She looks forward to guiding participants to success in reaching their health and well-being goals. Laura Becker-Lewke, BA, LLB, MBA, grew up in Chappaqua, NY and graduated from Wellesley College. She earned her law degree from McGill University and her MBA from New York University (now called Leonard Stern School of Business). For ten years of her adult life, Laura has lived in three foreign countries: Germany, Canada, and France. She is tri-lingual and brings a unique international perspective to BeWell. Laura started her professional career as a litigator in New York City, and after three years she became the general counsel for an international shipping company, Navios, a former wholly-owned subsidiary of U.S. Steel. Navios was headquartered in Connecticut, with oices around the world. After 10 years as counsel and manager/administration, and with the arrival of her third child and the opportunity to move to Germany, Laura changed focus and direction to raising a family and volunteering. She has worked with several churches, schools, and other volunteer organizations — all while raising four children and caring for an elderly mother who suffered a life-changing stroke. 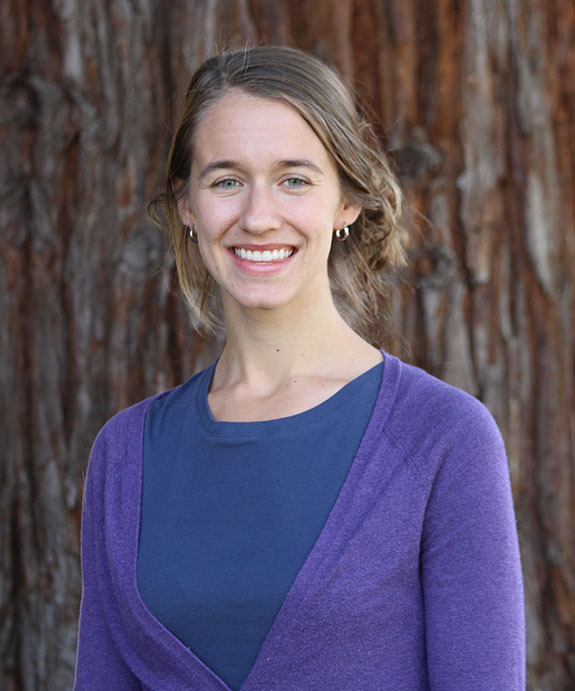 In January, 2014, Laura was a member of the first cohort of Health 4 All at Stanford at the SPRC. Her community project involved work with InnVision Shelter Network to create a mentoring program for the un-housed. This program has now evolved into “Friends and Coaches,” and Laura continues to mentor her mentee. Joining the Be Well coaching stais a natural extension of Laura’s desire to ”make a difference,” and in her work she draws upon her life experience in addition to her Health 4 All training. Laura is also active with an international not-for-profit, Hope Unlimited for Children, which rescues street kids in Brazil. Her interest in serving the marginalized and under-served has always been strong, especially since this work can lead to complete wholeness and well-being — physical, mental and spiritual. Laurie Ausserer is Health Education Manager at the Health Improvement Program and a BeWell coach and advisor. Laurie grew up in a small university town in central Washington State. She spent summers, on her horse Gail, exploring country roads, pastures, and creeks; spending time with friends; and swimming at the community pool. She remembers how skating on the neighborhood ice rink her father made each year and skiing in the Cascades just an hour west of town brightened and expanded the winter days. Laurie recognizes now how the times spent playing, exploring, and “being” outdoors in her youth informed her career choices and provided the wellspring for her enduring fascination with the human body. Laurie truly appreciates the self-correcting and restorative benefits that can come from spending time in nature. After earning a degree in Parks and Recreation Management, with an emphasis in Gerontology, Laurie went on to the University of Washington for graduate studies in Exercise Physiology. In college, Laurie began teaching group fitness classes and specialized physical activity for cardiac rehabilitation programs. She taught these classes for several years in Washington, New York, and California, while her children were small. Laurie then became a certified personal trainer, and continues today to enjoy leading the occasional fitness class. Outside of her work, Laurie loves to hike, run trails, swim, garden, study and write poetry, and spend time with (and continue to learn from) three exceptional people in her life — her husband, and two daughters. Debbie grew up in the suburbs of Philadelphia. A freak sledding accident at the age of 9 left her with a broken femur and a long recovery. Since that experience, Debbie has been interested in people’s beliefs and attitudes about health and their motivations to engage in health-promoting behaviors. A regular exerciser since college, it was in graduate school that Debbie began to appreciate all the benefits that came from regular physical activity, including mood and stress management. A fabulous aerobics instructor turned Debbie into something she never thought she’d be: A Morning Exerciser! Relocating to California years later brought about an unexpected benefit: for the first time in her life, Debbie saw the appeal of running outdoors and began to run a couple of times a week. 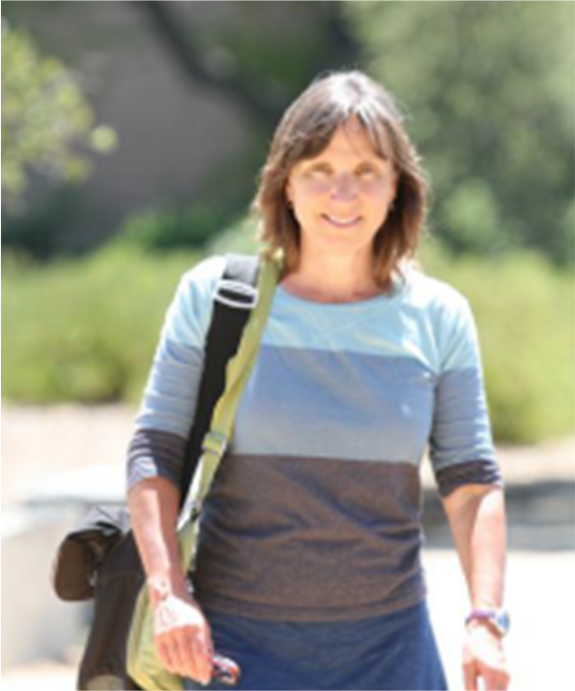 Debbie has worked for the Stanford Health Improvement Program (HIP) since January 2002. She spends her time coordinating behavior change groups for employees and community members. In addition, she evaluates programs offered by HIP and BeWell; teaches Healthy Living classes; provides input into the design of the BeWell Employee Incentive Program; and works one-on-one with participants who want to make a behavior change. 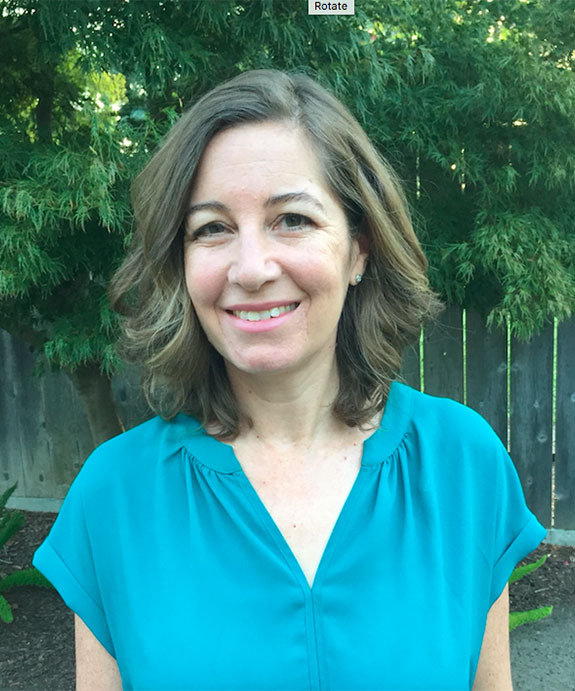 As a working mom of two boys with celiac disease, Debbie understands firsthand the realities of trying to prioritize your health while juggling all the other demands of life in Silicon Valley. While she has room to improve when it comes to healthy meal planning, she does prioritize physical activity and “me time,” which helps her deal with life’s many curve balls. She makes time to get moving (even if it’s only a little bit) most days, and keeps (relatively) sane by taking walking breaks during the day; running on the weekends; and attending HIP fitness classes when she can. It turns out she really enjoys yoga, a type of exercise she swore she’d never do! Drawing on personal and professional experiences, as well as the knowledge she’s gained from working with hundreds of Stanford employees, Debbie has learned to identify and manage the barriers to a healthy lifestyle. She helps other busy people understand that by making small realistic changes to their lifestyle, they can greatly improve their health and the health of those around them. Soowon Kim, PhD, has been with the Health Improvement Program (HIP) since 2005. Her primary role is to evaluate the health promotion efforts of HIP and BeWell. Soowon’s professional training focused on the examination of the role of nutrition in health and disease and the development and evaluation of interventions for achieving and maintaining healthy eating patterns. It is important to Soowon that we approach health and wellness from the multiple pathways through which biological, behavioral and contextual contributors affect individuals and the population. She is also committed to improving the health and well-being of every individual, including those who are underserved. 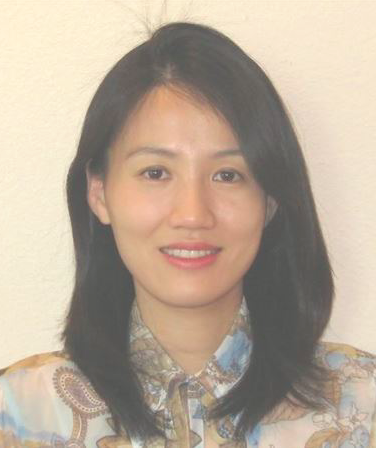 Prior to working at HIP, Soowon was a postdoctoral fellow at UCSF through the W.K. Kellogg Scholars in Health Disparities Program, where she focused on issues of health disparities and social determinants of health. She was also a visiting scholar at the Stanford Prevention Research Center. Soowon was born and raised in Seoul, South Korea. Coming from a big family that likes to celebrate with great eating experiences, food has always held a special attraction for Soowon. Any aspects of food — growing, cooking, serving and eating food — brings joy and excitement for her. Soowon believes we are all unique individuals with the power to make meaningful life changes. In her role as a wellness coach, Soowon walks alongside her participants on their wellness journey, helping them hold their focus on their desired outcomes. She employs assumption-free, nonjudgmental, and open communication to help her participants achieve their wellness goals. Soowon shares with BeWell participants one of the most valuable lessons she has learned working at HIP: move away from the “all-or-nothing” mindset and appreciate any tiny steps you can take to improve health and the quality of life. 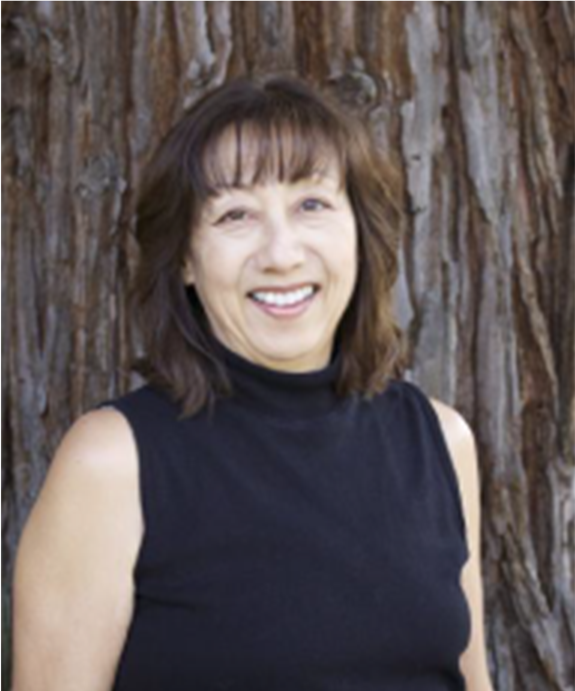 Jerrie is a senior health program manager for Stanford Health Improvement Program (HIP). She coordinates 90 fitness professionals who instruct over 200 group fitness classes each week at Stanford University. She has collaborated on numerous Worksite Wellness and Department Programs, and instructs a variety of fitness and health education classes for HIP. 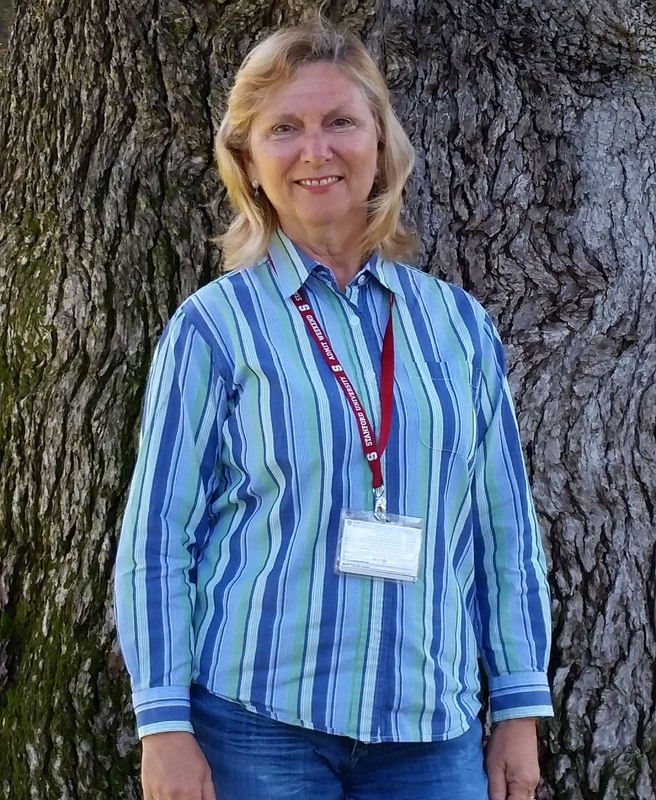 Jerrie has worked at Stanford for almost 25 years, and with HIP for 21 of those years. She is also a 30+ year veteran of the fitness industry. 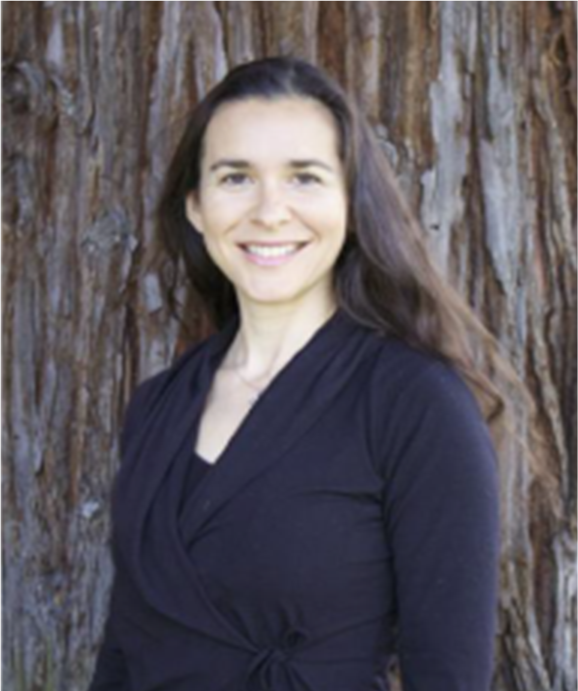 Some of her professional accomplishments include: recent graduate of the Stanford School of Medicine’s Health 4 All Fellowship program, MA degree in instructional technology, and BS degree in human performance/exercise physiology. Jerrie is sympathetic to the “sandwich generation” employee. She has three children ages 15-27, an elderly mother, and works full-time. She is intentional about doing regular activity, and encourages others to be as active as they can. In her spare time she enjoys dancing, singing, reading and fine arts activities. Jayna Rogers-Bunio is the Wellness Manager for the Health Improvement Program and the Workshop Manager for BeWell. 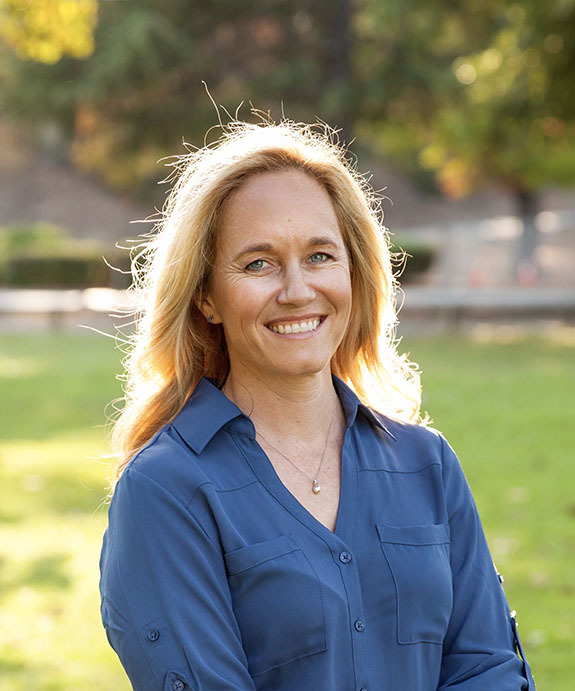 She has been a health educator and researcher for the Stanford School of Medicine for the past 15 years in the areas of smoking cessation, weight management, women’s health and wellness coaching for long-term behavior change. 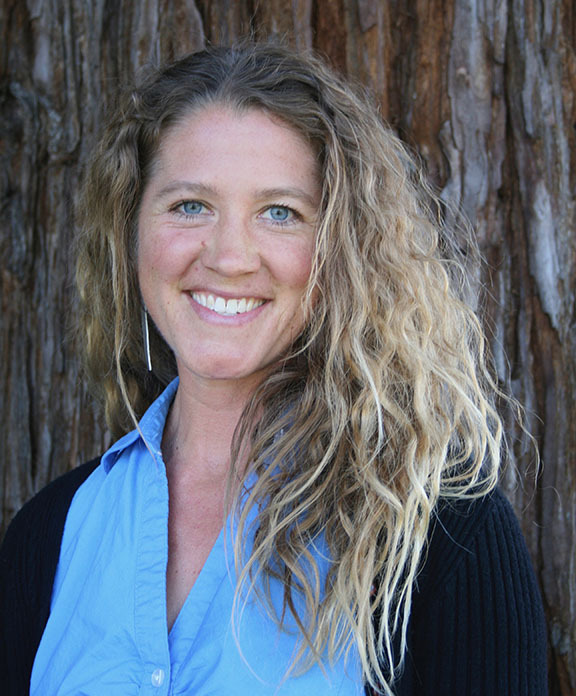 With a background in community health education and a master’s degree in public health, Jayna’s experience with behavior change and group facilitation adds depth to the wellness services she provides at Stanford. The Stanford community is near and dear to Jayna. She advocates for a wide range of employees at Stanford, and employees are at the center of her decision-making and input on program design. As a working mom and daughter of aging parents, Jayna understands how difficult it can be to fit physical activity into a busy and ever-changing schedule. In college (Mount Holyoke), Amanda spent time as a hospice volunteer. This experience of supporting, as completely as possible, individuals dealing with terminal diagnoses has greatly affected the way that she sees wellness and care. Hospice’s holistic, patient-directed approach — that takes into account physical, social, emotional, and spiritual needs — has greatly affected the way that she sees wellness and care. Hours spent with people reflecting on their lives during their final months continues to give Amanda perspective and appreciation for the little things each day. Amanda’s love for working with older adults led her to a position with a Massachusetts Aging Services Access Point/Area Agency on Aging as a resource specialist and case manager. One of the most challenging and rewarding aspects of these jobs was helping to support caregivers in their demanding roles. While serving as a case manager, Amanda obtained two certificates in aging from Boston University School of Social Work’s Institute of Geriatric Social Work. Amanda and her husband have two daughters. Now that she has two sets of curious brown eyes watching her every move, Amanda is more motivated than ever to model a healthy lifestyle. For her, this means sharing her love of books, eating lots of plants, and showing her daughters the joys of physical activity. Amanda is also passionate about women’s health education and endeavors to learn more about how to support women as they face new health challenges at different stages in life. As a BeWell Coach, Amanda feels blessed to meet participants who have had so many different life experiences. She enjoys discussing the unique challenges and myriad opportunities that individual Stanford employees face as they try to balance work with a healthy lifestyle. She also loves gleaning useful nutrition, exercise, and self-care tips from participants themselves! Maia Tamanakis’s passion for health and wellness began at a very young age. Her father owned a small “health food” store near her rural hometown in Massachusetts — before Whole Foods and others were even on the map. Vitamins, supplements and natural foods were a part of her life growing up, although Twinkies were one of her favorite foods back then! Her mom and uncle were both physical education teachers who excelled at basketball, football and wrestling; thus, sports, exercise, and athletics were a part of the culture in which she was raised. Having faced some health challenges as a young child, Maia became fascinated by the human body and medicine and continued a love for learning biology and physiology. She remembers during high school being riveted reading Bill Moyers’ book, Healing and the Mind, and she thought that the field of psychoneuroimmunology would be a cool thing to continue to study. In college, she continued to learn and explore human behavior and biology, and she thought maybe medical school was where her path would take her. However, she found that medicine wasn’t holistic or preventative enough, so she waited to see what else might prove her calling. After graduating from Boston College, her passion was fueled for personal fitness training and life coaching after seeing how both had powerfully impacted her own health and well-being. She decided to pursue certifications in both and found her niche — at a time when disease prevention and wellness coaching was just coming on to the scene. Shortly after being certified as a wellness coach, Maia decided to leave her small home town for a position as a corporate wellness coach at a technology company in Santa Clara. Thrilled by fulfilling a long time dream of moving to California, as well as work in a field she loved, she stayed in that position for eight years — coaching employees and providing health education and promotion as part of their onsite wellness program. Through the years working with people and as part of her own life’s journey, she has validated the inseparable connection between mind, body and spirit that she knew always to be true — ever since she picked up that copy of Healing and the Mind. Since then, Maia has delved deeply into the practices of yoga, meditation and prayer, and she enjoys helping others experience mindfulness and spirituality as part of their wellness journey. 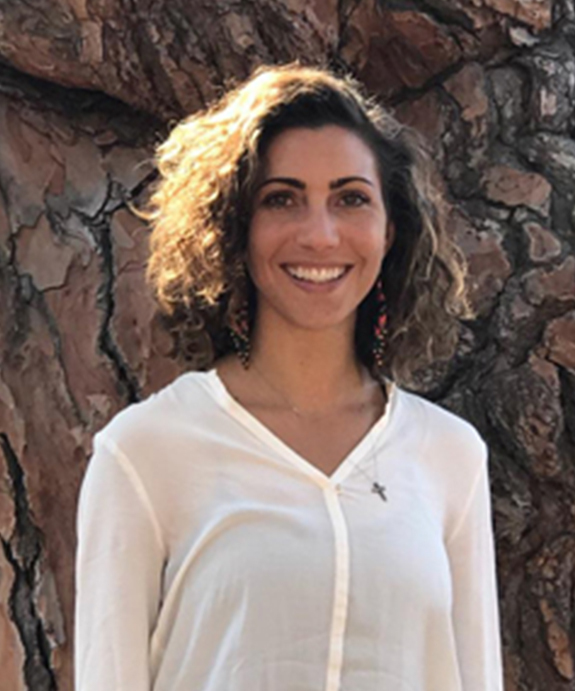 Maia is very grateful that she is able to bring her love and experience in wellness to the Stanford community as a BeWell coach and support others on their wellness journey. Wellness Coach and Nutrition Educator, Joanne Ambras, believes that taking action to be as healthy as possible and cultivating a wellness state of mind can help us get through everything that happens in life. en with long hours and lots of travel. She was always on the go, not sleeping or eating very well. She didn’t realize it at the time, but her body was in a constant state of stress. It was excited stress, productive stress — but as she learned later, without adequate down time and nutrition, her body had to work too hard to keep up. She felt fine for a long time, but eventually it all caught up with her. Her body was in as state of distress. er a short while realized that she didn’t feel much better. She discovered through testing that her adrenals were overtaxed. She learned that adrenal function is related to all aspects of today’s typical jam-packed lifestyle. She got the help of a nutritionist and started to get her life back in balance. Key to all of it was changing her diet and becoming more mindful about her lifestyle and her ability to manage stress. While working on her diet, Joanne realized how much she loves food and loves to eat! She thinks about food every minute of the day, and has figured out how to feed herself in ways that are both healthy and delicious. She really wanted to learn about all of this in more depth, and so went back to college to study nutrition. As a Certified Nutrition Educator and Wellness Coach, she is honored to help others with their goals for health and vitality. The focus of her work is to make healthy eating simple and attainable for everyone. The goal is lasting change. Mia’s approach to health is simple: to provide holistic, high-quality support to diverse individuals at any stage of life. Mia Primeau grew up in a small town in Rhode Island. Her Italian grandparents lived downstairs in the basement of their small home, which her father and grandfather built together. Her upbringing is best described as simple — and Mia still values the simple things above all. Mia grew up with a front-yard garden, and always loved the fresh produce it produced and the amazing foods her grandma would make with it, like fried zucchini-flowers and string-bean salad. However, as was the case for many families in their community, fast and processed foods were common in her family’s diet. As a young adult, Mia’s mother and grandmother were both diagnosed with cancer. Through diet and lifestyle changes alone, Mia’s mother persevered through stage 4 breast cancer. Mia became interested in the connection between diet and disease, and the concept of nutrition as medicine. As a result, Mia began changing her own habits and studying nutrition. After graduating with a BS in Nutrition and Dietetics from the University of Rhode Island, Mia went on to pursue an MA in Somatic Psychology. Mia’s grandmother passed during this time, which drove Mia to focus on end-of-life care and death-acceptance issues for her masters work. On her professional path, Mia founded the Yoga Program at URI, taught yoga and mindfulness on a personal and group level, facilitated group and individual grief and acceptance therapy at Pathways Hospice, and taught wellness at a public middle school. 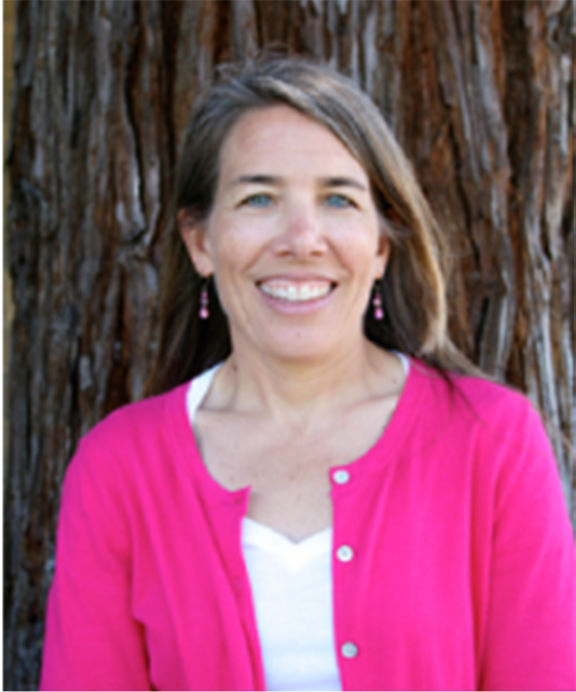 Since joining Stanford, she has developed and taught classes on acceptance and presence. Mia enjoys her work at Stanford tremendously, especially learning about the unique qualities and characteristics of each individual she has the honor of coaching. On her own time, Mia loves to learn about health and wellness and spend time outdoors with friends. She continues to value the simple things above all — especially human connection, which she believes is natures of the best medicine. As a Wellness Coach for BeWell, Elizabeth Skolnik, CPCC, works with participants to incorporate wellness best practices into their busy lives. Elizabeth’s background is in Organizational Development. She received her BA in Education and Community Studies from University of California at Santa Cruz, and her Professional Coach Certification from the Coaches Training Institute (CTI). In keeping with her goal to educate, in her early years, Elizabeth developed educational programming for San Francisco Television Station Viacom Cable Six. Following that, Elizabeth spent many years working for a management consulting firm, designing learning interventions that leverage the Neuroscience of Behavior Change. As a Certified Professional Coach, Elizabeth works with individuals on a personal level to incorporate wellness and balance in their hectic lives, and on a professional level to develop the authentic leadership behaviors necessary to build organizations of trust, engagement, and innovation. Elizabeth has a dedicated yoga practice and enjoys the simple things in life: her family, good friends and garden. She understands the stress which comes with being a working mother, surviving cancer, and raising a child with special needs. Elizabeth credits her yoga practice and healthy living for helping her maintain a balanced and purposeful life. Christy Matta graduated from Colorado State University with a BS in Psychology, after which she earned her MA in Counseling Psychology from Boston College. Christy believes that wellness, as it relates to health and well-being, is impacted by a variety of factors in life and our environment. A sense of wellness comes from attending to health through nutrition and exercise, as well as through a cultivation of positive emotional experiences and social connections with consideration for physical and emotional pain. Christy is an avid reader who grew up skiing in Colorado and body surfing at the Jersey shore. She loves to curl up with a good book and a hot cup of tea. While she is sometimes up for trying fun, new outdoor activities, she is more consistently up for a walk. After 20 years on the East Coast, Christy feels lucky to live in sunny California. As a mother of three, she has, at times, counted her sleep in minutes and is grateful for a quiet morning, times with family and the occasional nap. Christy has worked in wellness and mental health for over 20 years. Always interested in why some people struggle, when others thrive, Christy began to teach strategies for building emotional resilience; sustained, focused attention; and social connectivity. She is intensively trained in Dialectical Behavior Therapy (DBT,) a cognitive behavioral treatment designed to help people with intense emotional experiences, and is the author of “The Stress Response: How Dialectical Behavior Therapy Can Free You from Needless Anxiety, Worry, Anger, and Other Symptoms of Stress” (published by New Harbinger Publications in April 2012). She has presented nationally and internationally on the topic of emotional regulation and resilience and participated in the design and clinical supervision of programs for people with emotion dysregulation and mental illness. Christy was awarded the American Psychiatric Association’s Gold Award. Now, her work in wellness allows her to indulge her curiosity in mind/body connections, encourage individuals and communities to lead healthy, meaningful and fulfilling lives and cultivate what is best within themselves. Her favorite wellness activities are outdoor lunches with her three children and husband, swimming, mindfulness and singing in the car (where no one can hear). Your body hears everything your mind says; and so, with unconditional positive regard, I aim to co-create a personalized approach to health that is more than just exercise and diet, but instead reflects a point of view and mental attitude you have about yourself. 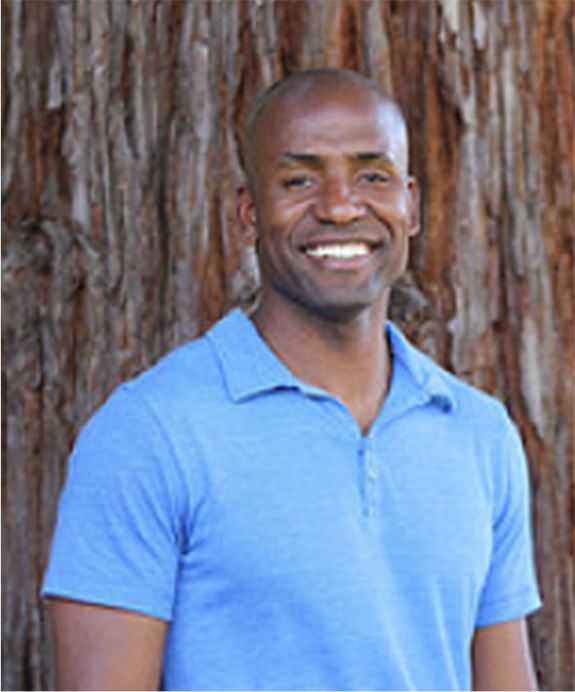 Having earned my BA in International Political Economy from UC Berkeley, I am currently in the third and final year of my Master’s in Counseling and Health Psychology program at Santa Clara University. I am concurrently serving my practicum with the YMCA, San Mateo Youth and Urban Services, providing counseling and mental-health support for the San Mateo-Foster City School District and clinical services for individuals, couples, and families. In completing the health emphasis of my educational program, I have had the honor of studying with Dr. Dale Larson and Dr. Shauna Shapiro, under whom I studied mind-body connection, positive psychology, and the practice of mindfulness-based stress reduction (MBSR). This past spring, I worked as a volunteer for Stanford’s Center for Back Pain. In this experience, I served as a research adherence rater for clinical trials concerning MBSR as a treatment for pain management while studying under MBSR-certified instructor Mark Neenan, who completed professional training under MBSR founder Jon Kabat-Zinn. Prior to working at Stanford, I served within higher education health and disability services for the San Mateo Community College District. I then programmed Kurzweil software to read textbooks for the visually impaired and implemented the translation of bilingual medical intake materials, so as to further health access. My mother was a mid-wife, and an advocate for infant health. She shared her knowledge and experience with the Stanford community, and in the same light, I aim to leverage my educational and professional experience in counseling and health psychology to support and promote comprehensive connection with resources, both internal and external. I learn a great deal from my fellow-coaches and the participants within the BeWell program. I view our conversation as an exchange, and as I facilitate the growth of health awareness, I find myself increasingly engaged in the betterment of my own personal health, as I have the honor in working with this most enriched, inspiring, and mutually supportive community. We are in this together, all of us! Claire grew up in a small town in the foothills of California. Living in such a rural area and growing up on a ranch, she adopted a very active outdoor lifestyle — camping, hiking, playing sports, gardening and raising animals, which she continues to practice and sustain today. Claire attended the University of California at Santa Cruz and graduated with her degree in psychology and anthropology. During her senior year, she volunteered at the local women’s health center, which inspired her initial interest in supporting and counseling people on wellness and behavioral change. Along the professional path that led her to health coaching, Claire worked in a wide array of social service facilities. She worked as a mental health counselor working with at risk youth providing special education services to children with various mental health needs and as a stabilization counselor at psychiatric health facilities in the Bay Area. This work led to her increased awareness and interest in a holistic approach to health and wellness and was the catalyst for her learning various modalities to treat both physical and mental health concerns. 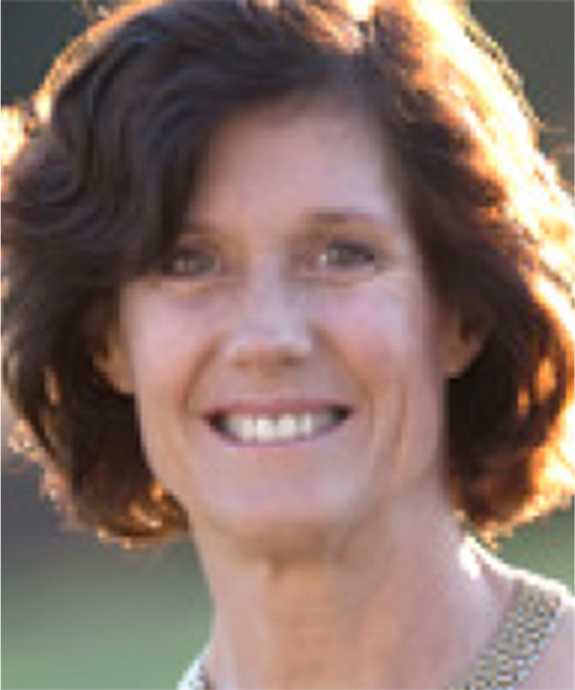 Claire earned her certification as an Integrative Health Coach from Duke University in 2012 and began working at the VA Hospital in Palo Alto. She worked primarily with veterans who had experienced traumatic brain injury and PTSD and supported them in sustaining behavioral change and a healthy reintegration back into civilian life. Claire has completed trainings in mindfulness stress reduction and has a personal interest in reducing one’s stress and improving overall mental and physical health with proper nutrition, physical activity and various body/mind techniques. Ultimately, Claire’s passion for health and wellness is what drives her — both professionally and personally. She believes that the maintenance of one’s health lies in the values of each individual person and that a beneficial healthcare system is one that strives to treat the person, not the symptoms. Wellness Philosophy: True wellness is an integration of the being as an entire whole — which includes mental, emotional, socio-cultural and physical aspects of well-being. Guiding people to take responsibility for their own health and well-being by sharing what I have learned over the years in the areas of physical activity, nutrition, stress management and relationships (with self and others) is a great passion of mine. 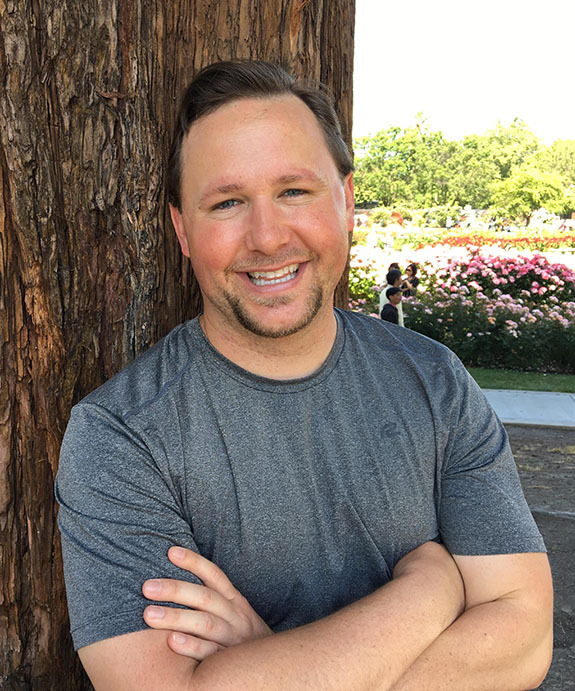 My career in wellness started over 20 years ago in the fitness industry — managing gyms in the East Bay and eventually becoming a personal trainer. Taking my interest in kinesiology (study of human movement) and combining that with my passion of preventive healthcare has led me to where I am today. I look forward to continually learning and spreading the message of well-being to the Stanford community. My favorite wellness activates include hiking, strength training, getting creative with arts and crafts, journalizing, reading and dancing hula. Stanford University. BeWell @ Stanford Office - 615 Serra Street, Stanford, California 94305. (650) 721-2984.